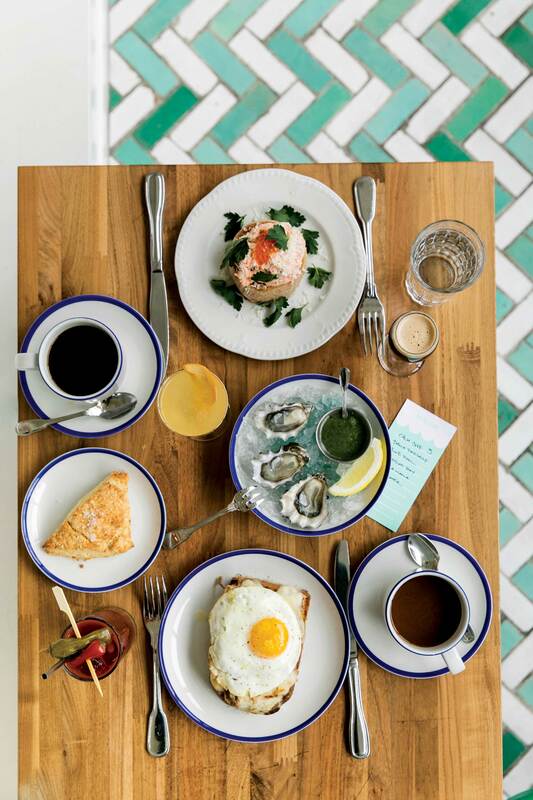 Seattle’s favorite picks for the most important meal of the day. 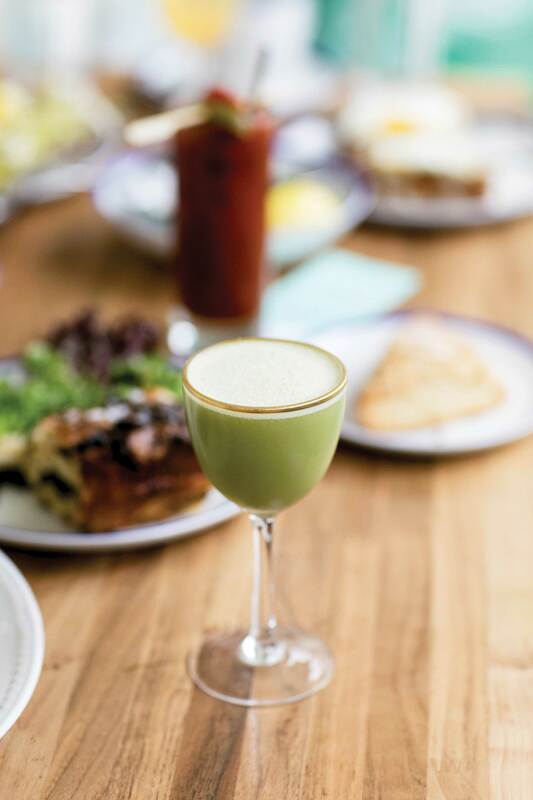 From eggs Benedict with Dungeness crab to classic shrimp and grits reimagined with a Chinese twist, Seattle’s morning menus are as inspired as they are delicious. 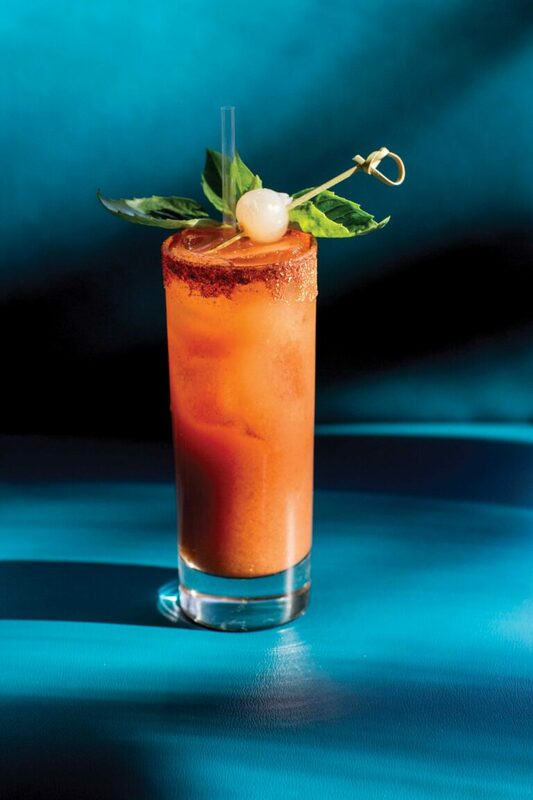 That verve also extends to brunch-appropriate cocktails—because who doesn’t want a Bloody Mary to wash down that heavenly hash? Chef Renee Erickson’s restaurants present the best of Northwest seasons, often with French undertones. At her Normandy-inspired Bar Melusine (*1060 E Union St; barmelusine.com) on Capitol Hill, delicate buckwheat crêpes come topped with roasted pears and slices of cured ham. A smoked fish salad—salmon or black cod—is piled atop square English muffins baked in house. While the menu leans delicate, Bar Melusine also serves incredible fries, a hearty burger, and cream-filled wonders from Erickson’s nearby doughnut shop, General Porpoise (1020 E Union St; gpdoughnuts.com). All this, plus oysters on the half shell—including a brunch-only Champagne and oyster pairing—in an endlessly stylish dining room. Another masterful Northwest chef, Matt Dillon, shares this belief in brunch tables loaded with a medley of larger and smaller plates. Begin a memorable meal at Sitka & Spruce (*1531 Melrose Ave; sitkaandspruce.com) in Capitol Hill with buckwheat beignets and a plate of whatever marvelous pickled vegetables Dillon has chosen to reflect the season, softened with a runny egg. Comfort fare like baked eggs with mushrooms and cream or a cassoulet of local seafood work as entrees but are fun to share—especially when it’s all accompanied by a breakfast daiquiri made with 12-year-aged rum or a black currant cocktail mixed with sparkling wine, vermouth, and cassis. 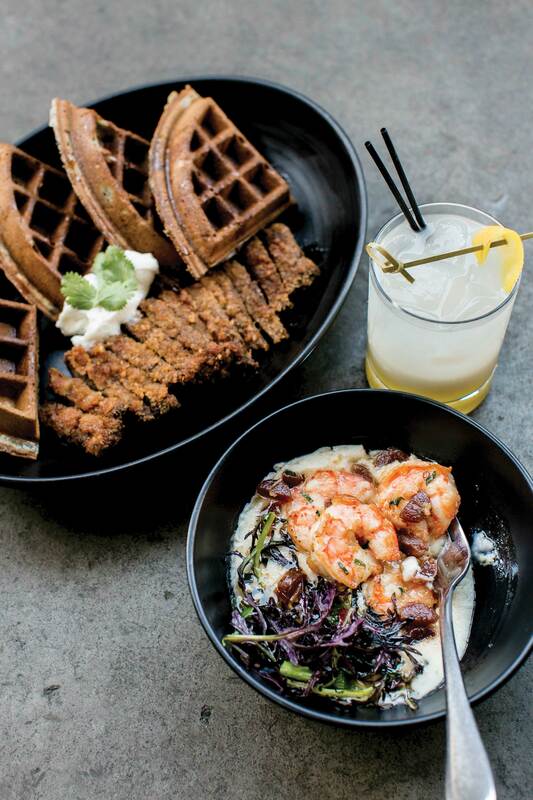 It’s hard to find a brunch in this town more fun than the one at Fremont’s Joule (3506Stone Way N; relayrestaurantgroup.com), where global flourishes enliven classic dishes, like shrimp and grits with brown butter, ginger, and flavorful Chinese sausage. Diners revere the chicken-fried steak served with a fluffy sesame waffle and smoky maple syrup. Even the cocktail menu, full of herbal, spice, and fruit flavors, is destination worthy (taste blood orange and elderflower notes in Sweet Freedom or a grapefruit-cava blend mixed with a berry-heavy liqueur and local Batch 206 vodka). But the best part of brunch here: Every meal comes with unlimited trips to the buffet, a long table loaded with pastries, salads, and more. A July ode to summer barbecue might have picnic-style potato salad, chipotle corn bread, and strawberry crisp; October’s exploration of Vietnam might involve rice noodle salad and steamed scallion cakes. Yes, it’s an enormous amount of food, but it’s hard to pass up so much edible creativity in one place. Nearby is the rustic-meets-modern seafood restaurant RockCreek (*4300 Fremont Ave N; rockcreekseattle.com). 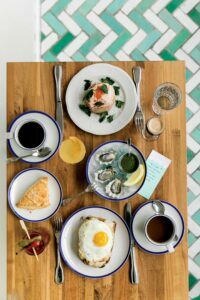 By night it’s one of the town’s best bets for fish, but on weekend mornings, chef Eric Donnelly doles out water-driven offerings (wow, that fried oyster and bacon benedict) with a vibe that’s almost Southern. Think enormous cinnamon rolls topped with pecans and cocoa nibs, and the famed Tar Pit—buttermilk biscuits slathered in country gravy, then piled with ham, poached eggs, and a liberal helping of hollandaise. If that weren’t enough, its Baller Bloody cocktail stars rosemary vodka, plus a poached prawn and oyster on the half shell. 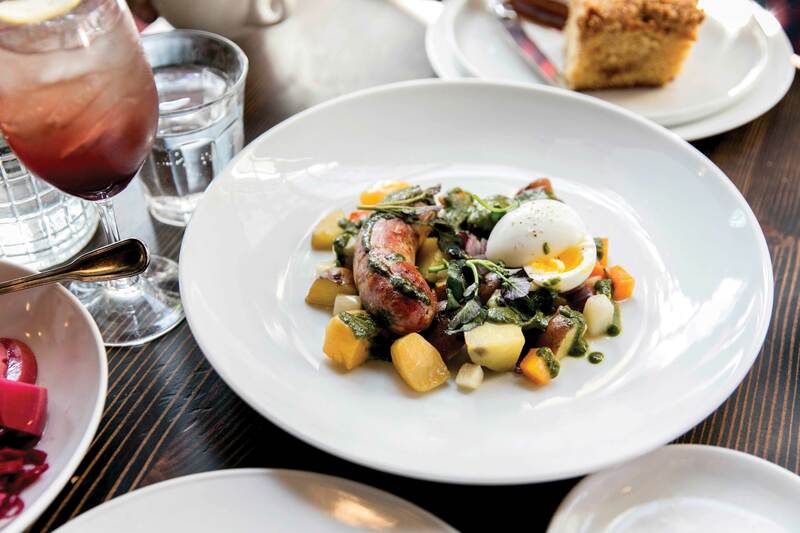 The Belltown neighborhood also has endless options for great brunches, like Local 360 (*2234 First Ave; local360.org), where inspired mimosas (apple ginger, limoncello, and thyme) come by the pitcher, and the kitchen sources within a 360-mile radius to produce hearty biscuit sandwiches made with rabbit sausage and addictive peanut butter and jelly bonbons. At the lovely Tilikum Place Cafe (407 Cedar St; tilikumplacecafe.com) on the neighborhood’s northern edge, the Dutch babies take a little extra time, but these oversize, popover-meets-pancake marvels are worth the wait. Pancakes are so big they nearly overflow from their cast-iron dishes, and come stuffed with sweet lemon or savory lamb, feta, and roasted carrot. A local tip: Dine here on weekdays when the crowds are considerably lighter than weekends. Visitors keen to sample Northwest beer should brunch at No Anchor (2505 Second Ave, Ste 105; noanchorbar.com), a Belltown taproom that takes bar food to artful new extremes: sweet-savory buttermilk pancakes with maple syrup, green onions, and slices of pancetta, or a fried oyster omelette garnished with remoulade and a briny flourish of paddlefish caviar. You can also order off chef Jeffrey Vance’s regular menu, which is full of inspired fare, like a Dungeness crab roll with house-made ketchup chips. The food would be worth the trip even if it didn’t come alongside drafts from some of the most beloved breweries around, like Cloudburst, Holy Mountain, and Chuckanut. The post-brunch nap you take will be well deserved. Three standouts to try before you leave town.